Here below is a detailed description of a currency project I’ve been promoting for some time. It is as clear and concise a description of a sound private currency as I’ve ever produced. It could be easily implemented anywhere in the world, and while this article describes a currency based on renewable energy, the same model could be applied on the basis of any product or service that is in everyday demand, be it food, transportation, lodging, or anything else of value that is offered for sale by a trusted seller who is ready willing and able to accept the currency in payment. Any company wishing to consider implementing this design should contact me at thgreco@mindspring.com. -t.h.g. Edit: A German language version of this article has been prepared by Theo Megalli under the title, Sonnen-taler (meaning “sun thaler,” the “thaler” being a silver coin that circulated in Europe for over 400 years and from which the word “dollar” is derived). That translated document in Word format can be found at https://beyondmoney.net/recent-articles/sonnen-taler/; the PDF version at http://wp.me/a43RA-Kf. This document in PDF format may be downloaded here. In good times and bad, local economies find themselves short of liquidity. Communities always find that, to some degree or other, there is unused business capacity alongside unmet consumer needs. What is usually lacking is sufficient money circulating in the community to connect these unmet needs with the unused supplies. It is a situation that derives from our banking system which is increasingly centralized and reluctant to provide credit to local businesses, especially the small and medium sized enterprises (SMEs) that are the backbone of every economy. If and when banks do provide them with credit, it is on onerous terms, including high interest rates, burdensome repayment schedules, and the demand for collateral assets to secure the loans. 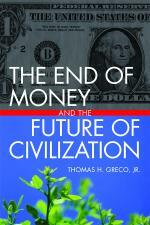 The defects and instabilities inherent in our system of money and banking increasingly appear to be insoluble. In the credit expansion phase, banks create asset price bubbles based on government guarantees, subsidies, and/or the expectation of government bailouts when the loans go bad. Then, in the contraction phase, they become risk averse, choosing to invest in “safe” government and corporate securities rather than financing the legitimate needs of businesses in their communities, especially the SMEs. At the same time, industrialization and population growth are causing other problems including despoliation of the natural environment and climate destabilization. It is clearly desirable to shift our energy production from fossil fuels to renewable sources but the incentives for doing that have not been adequate to propel this shift quickly enough to stave off severe environmental, economic, and political consequences. Solar Dollars (SD) are intended to address at once the needs of the environment for reductions in greenhouse gas emission, the needs of local communities for more circulating payment media, and the needs of utility companies for low cost financing. How Solar Dollars are issued? A Solar Dollar is a credit instrument of a local electric utility company. The circulation of SD begins when a contractor or supplier accepts them directly from the utility company in payment for services rendered to it. To the extent that contractor or supplier himself can utilize the services of the utility company, the SD clearly have value for him because he can use them to pay his electric bill. For example, if the contractor has electric bills averaging $500 per month, he could easily utilize SD amounting to at least $1,000 in face value. To the extent that the contractor is unable to use SD directly in operating his business, he will seek to pass them on as payment to his sub-contractors and suppliers who themselves have electric bills to pay. He will therefore seek to source the goods and services he needs from those who are willing to accept SD as payment. These sub-contractors in turn will undoubtedly be able to use some amount of SD directly to pay their own electric bills and will pass on the rest to other vendors that supply them. Now, since virtually everyone has a need for electricity, the local economy should be able to absorb a large amount of SD vouchers, with shopkeepers and even employees at all levels of the supply chain being willing to accept them at least as partial payment. Of course, a particular amount of SD vouchers, between the time they are first issued into circulation and the time they are presented back to the utility as payment for electricity services, can change hands many times as others in the community use them to pay one another. There is a multiplier effect in stimulating local business because now the supply of dollars has been augmented by this entirely local medium of exchange. Many bills that would otherwise require payment in dollars can now be paid using SD, an entirely “home-grown” payment medium the creation of which does not require any bank loans or action by the central monetary authorities. Still, SD can be a sound and dependable exchange medium because they represent a claim on a valuable service, electricity provided by the utility company. The value of SD vouchers in the market will be determined by the law of supply and demand. If the amount issued (supply) becomes excessive in relation to the collective needs of those in the community for electricity services (demand), the SD will begin to be discounted, i.e., they will be accepted at a rate below face value. This will occur because there is no legal compulsion for anyone to accept them at face value, or to accept them at all. For example, if shopkeepers in the community perceive a superabundance of SD being offered as payment from their customers, an amount that is beyond the amount that they and their trading partners can use within a reasonable span of time, they might begin to accept them at less than face value. A one dollar SD note might be accepted at the rate of only 95 or even 90 cents. At the latter rate, an item with a cash price of $90 would require payment in SD with a face value of 100. But as the market rate for SD drops, anyone who has an electric bill to pay will be more eager to acquire them sine the electric company that issued them is compelled at all times to accept them at face value. Once a significant amount of SD vouchers enter circulation, it is likely that a free market for trading them will develop. Large users of electricity will ever on the lookout to buy them whenever their price falls much below par. However, the utility, finding that its contractors and suppliers are no longer willing to accept SD at par, will cut back on its rate of issue until supply and demand come back into balance and the discount is eliminated. Since no one other than the issuer is compelled to accept SD or any other private currency as payment, such currencies are self correcting. This feature makes them superior to political currencies that rely upon legal compulsion (legal tender) as the basis for their circulation above and beyond their acceptability for the payment of taxes. The issuance of SD by the utility in the way described is analogous to the emission of a short term credit note or account payable, however SD by comparison have two advantages, first, there is no interest cost and secondly, there is no redemption in official money—the SD vouchers are redeemed only by the provision of electric services. This is especially significant during times of financial stringency and economic recession when official money may be in short supply. Likewise, in issuing Solar Dollars, a utility company is promising to provide electricity, that is, to fulfill its function as an electric utility There is nothing speculative about that. The utility company’s only obligation is that it should accept the SD at any time at their face value, irrespective of their current market rate. It would be in no way obligated to redeem the SD in cash or in any other way. Once the SD vouchers have been presented to the company and accepted as payment for electricity, the SD will have competed the reciprocity circuit and will be retired. Of course new SD vouchers can be put into circulation (or old ones recycled) so long as the amount outstanding at any point in time does not become so great as to cause the market rate to fall too low below par. Thus, there can be a continuous flow of SD through the local economy as new vouchers enter it (when the utility spends them) and old vouchers are retired (when the utility accepts them as payment for services). How much Solar Dollar currency could be issued? In the general case of a private currency that is spent into circulation the amount that can be safely issued depends first of all upon the solvency or general financial condition of the issuing company, indeed, the market will be unlikely to accept the currency of a company that is on shaky ground and at risk of failing. Assuming that the company is sound financially however, its currency becomes merely another short-term credit obligation. But unlike other short-term obligations like accounts payable or notes payable, private currency vouchers can be used by the entire community as a means of payment supplementary to the available supply of official currency. Lacking legal tender status, a private currency must stand on its own merits in the marketplace. The value that the community places on the currency will depend primarily upon the demand for the products or services that are its foundation. In the case of Solar Dollars, that foundation is the ability of the company to provide electricity services. A further factor in determining the amount that can be outstanding at any particular time is the extent to which people wish to use it as a medium of exchange. The greater the use of the currency as an exchange medium, the greater the amount of it that the community can absorb. The signal that needs to be monitored in making the ultimate determination of the volume of currency that can be circulated is the market rate at which the currency passes. As pointed out above, if the discount from par becomes significant, that is an indication that the amount issued is becoming excessive and needs to be throttled back. Here it is useful to introduce three concepts “emission,” “reflux,” and “turnover.”.” We are describing here a continuous process of issuance and redemption of the currency. Each occurs at a particular rate. The rate of issuance or the rate at which currency “goes out” is termed emission, and the rate of redemption or the rate at which currency “comes back” is termed reflux. Suppose the rate of issuance (emission) is 30,000 per month and the rate of redemption (reflux) averages 20,000 per month. You can see that the amount outstanding will be building up by 10,000 per month and over a period of time the market will eventually become saturated. The point at which saturation occurs will be indicated by the market in the form of the discount at which the currency passes. At that point the emission must be reduced and/or the reflux increased. Since there is little the issuer can do to control the reflux, the adjustment will typically be made by reducing the emission until the discount is eliminated. In the long run the emission must match the reflux. There is however a rule of thumb or heuristic that is based on past experience that can be used a rough guide to estimate the maximum amount that might be outstanding at any particular time. It says that there should be no less than a 1% daily reflux. In other words the amount of currency outstanding should be able to be retired in the normal course of business within a period of about 100 days or less. This period is the “turnover,” the period of time in which the entire amount outstanding will be replaced with newly issued currency. Of course any currency should be put into circulation gradually and its market rate and circulation closely monitored so that adjustments can be made long before the maximum amount is reached. In the special case of Solar Dollar currency there is an additional constraint that is intentionally built into the program. Besides the objectives of providing the local economy with a supplemental means of payment and providing the utility company with interest-free financing, the Solar Dollar program has another fundamental objective, that is to promote the shift from fossil fuel energy to renewable energy. This environmental objective is achieved by limiting the issuance of Solar Dollars to some fraction of the value of only the renewable energy that the company delivers to its customers. This feature provides the proper incentives to the company and to the prospective payees and users of the SD vouchers. The utility company will want to deliver more energy that is generated from renewable sources because that will allow it to issue more SD which provides it with more interest-free credit. The companies suppliers and anyone else in the community who favors the shift to more renewable energy will want to accept SD in payment as a way of supporting that shift. In what units should Solar Dollars be denominated? The Solar Dollar being a credit instrument must be denominated in some particular unit of measure. We are assuming that SD would be denominated in units equivalent to the predominant currency in the area, the U.S. dollar. That would be the most convenient choice since the company bills its customers dollar units. Thus, if you receive a bill from the utility saying you owe $100 for electric services, you have the choice of paying with dollars from your checking or credit card account, or, if you happen to have 100 SD vouchers, you can pay with them instead. However it is interesting to consider another possibility. Suppose the Solar Dollars were denominated in terms of some unit that is better defined than the U.S. dollar, something real, like electricity units? The usage of electricity is measured in kilowatt-hours (Kwh), and the company bills its customers at the rate of so many cents per Kwh to arrive at the dollar amount of each customer’s bill. But rates are subject to change (with approval of the regulatory agency that has jurisdiction in that area). If SD were denominated in Kwh units, each would be good for payment of a kilowatt-hour, regardless of the going price of a Kwh at the time of payment. This would have the advantage of protecting the holder of SD from any possible increase in price. Of course, in the case of public utilities, requests for rate increases are announced well in advance of any actual increase so the market will have plenty of time to adjust its valuation of SD vouchers. But, in the general case of a private currency, denomination in real units instead of dollars becomes a more interesting option, especially in times when general price inflation is rampant and the purchasing power of the dollar is declining rapidly. In what form should Solar Dollars be emitted? These are three separate things that are often mistakenly conflated in discussions about currency innovation and development. The essence of a currency is credit. It is the issuer’s i.o.u. or promise to reciprocate, i.e. to provide real value and accept his currency back as payment. SD is a credit instrument that is spent into circulation by the utility company. A currency can manifest as a paper note, a number in a ledger (written or computerized), a smart card balance, or some other electronic format. SD might be circulated in any or all of these forms, but if paper vouchers are issued they should carry an expiration day to prevent them being hoarded and causing disruption in their circulation. A currency can be transmitted hand to hand as in the case of paper notes or tokens, electronically within a ledger of accounts using debit cards or SMS messaging, or directly from one electronic wallet to another using perhaps near field communication technologies. This is a rapidly developing field in which convenience must be balanced against security. But since every SD unit is accounted for at all times, fraudulent or improper transactions can be refused or reversed. Note that this same basic currency model can be used not only to promote the shift to renewable energy but also to promote other desirable economic shifts. The fact is that the value of any product or service that is in everyday demand can be monetized in the form of a private currency. Providers of organically produced food, for example, could issue Organic Dollars or Bio Dollars by using them to pay their contractors, suppliers, and employees, in just the same way as we described for the issuance of Solar Dollars. The requirements remain the same—that they be spent into circulation by a trusted issuer that is ready, willing, and able to accept their currency back as payment, at face value, for the goods and services they sell. 1 Q1. What are Solar Dollars (SD)? A1. Solar Dollars are currency vouchers that are issued into circulation by a local Electric Power Company in some limited proportion to the annual amount of energy from renewable sources that the company sells to its customers. Q2. How are Solar Dollars issued into circulation? A2. Solar Dollars are spent into circulation by the utility as payment to contractors, suppliers and employees who are willing to accept them as partial payment for the goods and services they have rendered to the company. Q3. Why would suppliers and employees want to accept SD instead of taking all that is owed to them in US dollars. What makes Solar Dollars valuable? A3. SD are valuable because the company stands ready, willing, and able at all times to accept SD back as payment for the electric services it provides, or for any other payment owed to the company. SDs represent credit obligations of the issuing company that are solidly backed by the energy that it produces and/or sells. Q4. What’s the point? What can be accomplished by such a project. Vouchers, such as SD, that are spent into circulation provide an interest-free source of working capital to the issuing company. As such, they provide significant interest cost savings over bank loans. Vouchers spent into circulation by a trusted entity such as a local utility company provide the local community with home-grown liquidity, i.e., a supplemental means of payment that is independent of the monetary policies of banks and central government, providing the community with a greater measure of self-determination and making the local economy more resilient. Vouchers, such as SD, that are spent into circulation by a trusted issuer can change hands many times between their issuance and their redemption, thus stimulating local business. Home-grown liquidity based on the production of real goods and services provides sound exchange media that stays local and encourages local economic development. Locally issued currency vouchers, by their nature, stimulate local production and prosperity because they tend to stay within the community, and even if they do range more widely, must ultimately come back home to be redeemed by the issuer when accepted as payment for utility bills. Anyone who is concerned about problems like global warming, pollution, depletion of fossil fuels, the ill effects of resource extraction like fracking and offshore drilling, will want to encourage a shift to renewable energy sources. Accepting the company’s own solar energy vouchers as payment will provide that encouragement and help move the company toward the goal of providing more of its energy from renewable sources. The more renewable energy the company produces or distributes, the more Solar Dollars it will be allowed to issue, providing it with a greater amount of interest-free credit. There has been for some time a great and growing amount of media interest in stories about community currencies, local self-help initiatives, green energy, and alternative finance. This innovative project can provide a tremendous image boost to the utility company, the municipality, and the state, and establish the region as a hub of creativity and innovation. As the significant benefits of the project become apparent, all the involved entities will gain in prestige, and other communities will follow its lead. A private local currency that is spent into circulation by some trusted issuer like an electric utility is an important step in promulgating new memes and weaning the public away from their illusions about political currencies, like the U.S. dollar, as the only way to pay bills or settle accounts. Q5. What form will Solar Dollars take? A5. We’re talking about using the credit of the local utility to provide local liquidity. That can manifest in a variety of forms: Paper vouchers or coupons, stored value cards, prepaid debit cards, or ledger credits that can be accessed with cards and point of sale card readers, or via mobile phones. There are advantages and disadvantages to each of these and it will probably be advantageous to use some combination of these forms depending on the local availability and cost of the required technologies. This Solar Dollar proposal is patterned after that work which may be found at https://reinventingmoney.com/the-papers-of-dr-walter-zander/railway-money-and-unemployment-and-further-remarks-concerning-railway-money-with-special-reference-to-the-position-of-the-american-railways/. Sorry if I misread your essay regarding solar dollars (SDs) being issued by an existing utility company instead of a starting utility company. I still brought the question of acquiring land and forming a community into play because where can you (with all due respect to your proposal) and other supporters (which can be me as I’m almost convinced) find an “free-thinking” utility company which would be open (and perhaps ‘quaint’ enough) to accept this concept? Even if it is accepted and the utility company issues the SD to the local community to make it more sustainable and prosperous (in your own words) how would this utility company be able to pay taxes for the IRS and print this currency (with the US treasury and other forces-to-be) above us? Stephan, where to find a utility company that would undertake to implement the Solar Dollar plan is indeed the question of the hour. All we can do s shake the bushes and see what come out. As far as paying taxes, SD will only be a part of the company’s financial picture, it will still have mostly dollar revenues so a profitable company will have to problem paying taxes. It is always a pleasure to receive and read news of your work. This time, I’m left with a small question, concerning the potential self-regulating nature of the SD: What would prevent shopkeepers from falsely claiming a super-abundance of SD in order to capture “cheap” currency, only to have it redeemed at face value by the issuing company? Perhaps these doubts stem solely from an overly pessimistic view of human conduct, but your knowledge and experience will probably dispell them. I would very much appreciate your insight on this. Thank you! João, how do you envision that it might be possible for anyone to falsely claim a super-abundance of SD? Are you talking about counterfeiting paper vouchers? If so, there are well established safeguards against that. Further, such fraud could not go undetected for very long and an established business must protect its reputation. If the vouchers exist as account balances, the ledger would be under the control of the utility and no way anyone could falsify their balance. I read your essay above. It sounds very encouraging that you are providing a greater opportunity for people who firmly believe in alternative energy sources (especially solar power) to invest in their own local electric company using solar dollars (SDs) while promoting a alternative medium of exchange at the same time. 1. How would they be able to acquire property (space) in the United States to be able to achieve this when the US treasury and the federal government is being “absolute” making sure everyone “must” pay for land in US dollars? —Is this against the idea of having an electric company find a plot of land, establishing their SDs, and building a community entirely from it? 2. How would the US treasury and the federal government understand and negotiate with us if we decided to establish a community like this based on a solar dollar? 3. How could we peacefully work out a way to negotiate with the legal authorities here in the US so we can use solar dollars (or other alternative currencies) for only our own community yet have it be recognizable and exchangeable between the US government and the local electric company who issue SDs as stated in your essay if the US government were to say (stauncher than we think) we MUST pay for the land and pay our local taxes in US dollars? Again, I read your essay more thoroughly and thought it is a REALLY great way to start combating climate change and global warming while encouraging eco-friendly energy resources and alternative forms of currency at the same time. You have a lot of productive factors all on one! I would like some feedback for my three questions if they are of interest to you. Good luck on your future works! Stephan, my proposal said nothing about acquiring land or forming a community. That;s an entirely different matter. I am suggesting that an existing utility company issue SD as i described. That by itself will have the effect of making the local community more sustainable and prosperous.